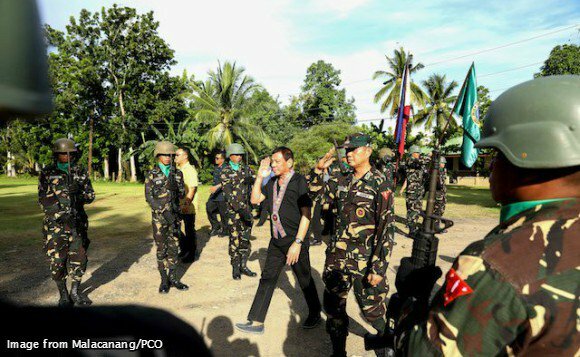 President Rodrigo Duterte is setting up a trust fund for the families of slain soldiers and policemen in the country. Duterte said he has so far raised P20 million as initial capital and plans to look for P30 billion more. “May nakita na ako. It’s a 20 billion initial. If I could have reached 50, sobra-sobra na ‘yan,” he said in a speech before soldiers in Zamboanga Sibugay. The military said at least 120 militants have been killed in the siege that erupted last Tuesday in Marawi City. The battle has also left 36 soldiers dead and displaced thousands of residents. Meanwhile, the president said he has no doubt the government will eventually win the war against Islamic extremists in Marawi City.